The lone Chinese school in Calcutta has stopped functioning following infighting in the city’s Chinese community. The 80-year-old Pei May Chinese High School, in the heart of Chinatown in Tangra, hasn’t opened since the Christmas vacation which ended on January 7. It had been the only Chinese school in the city for years after Moi Kwang on CR Avenue closed down because of lack of students. Pei May Chinese High School, which had six teachers and around 50 students the day it closed for the winter recess, was run by a committee of the Chinese Tannery Owners’ Association which had built it 80 years ago. A committee source said Liu Kuo Chao, one of the members, had formed a separate panel last December and declared himself the principal and president of the school. “He is trying to usurp the property. We won’t let it happen,” said Chen Khoi Kui, a member of the Chinese Tannery Owners’ Association. Liu, on the other hand, alleged that the earlier committee had no authority to run the school and his was the genuine panel. Liu has also moved court against the other panel. Pei May school, spread across three bighas and 18 cottahs, had basketball and badminton courts on the premises. Lee Kuo Leong, 90, who cherishes blurred memories of the school’s initial years, said the Chinese who were settling down in Tangra after the tanneries came up felt the need for an institution where their children could learn their language and culture. “The members of the tannery association started donating saw dust, scrap and leather pieces to the local Chinese club, which sold the items to raise funds for the school,” said Lee. Initially, the school had faced problems with the curriculum because there were not enough Chinese books in India. “The members of the tannery association tried hard and managed to get books from China,” said Lee. PS : It's not the lone school . There are Four other schools. Beside Pei May Chinese School, there are the following schools which were teaching Chinese , but due to the circumstances beyond their control, could not continue as Chinese medium school. These are Sacred Heart Chinese School at 15, Weston Street. Now it is an English medium School. 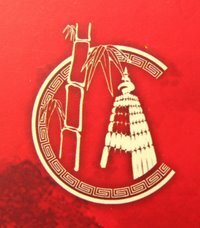 On Saturday and Sunday a Chinese tutorial Class is running for those Chinese who would like to learn Chinese at their own pace. Chien Kuo school at 15, Damzen Lane. This is continuing as an English Medium School. Grace Ling Liang English School at 21B, Huges Street. Both are running full house with ICSE and ISC.